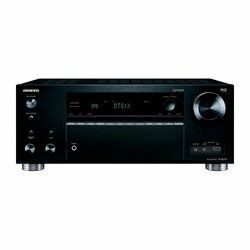 Going to purchase a new, powerful and high-end home theater, compare the Elite-line AV receivers from the famous Pioneer Corporation. Is Pioneer SC-LX901 vs SC-LX801 more performant or feature-rich? Are the improvements worth extra money? The eights HDMI input that is typical for the SC-LX801 is definitely not important as 7 available ports of its flagship counterpart are more than sufficient. One of them is conveniently located on the front panel, a USB port is available. So, not only a TV, but a Blu-ray or DVD player can be connected. Both home theaters are equipped with the same, handy remote that stands out by the minimalist layout. Some customers just admit that they like the remote for the old, Pioneer Elite SC-37 or SC-27 amp, more. Bluetooth functionality is great. Some app and connectivity issues still happen, as the system is complicated, but they are not common. Pioneer SC-LX801 vs SC-LX901 is a bit less powerful, but the difference is not significant, as the output per channel is completely the same. Both amplifiers produce powerful, detailed sound with accurate dialogues, but SC-LX801 model’s speakers are a bit sharp, standing out by the rich bass. SC-LX901 amp’s sound is slightly more natural. Pioneer SC-LX901 is an 11.2-channel device that is a bit more powerful versus its counterpart, but the difference is insignificant. It produces a bit more natural sound. On the other hand, the SC-LX801 model is equipped with one more, the eighth, HDMI port that still doesn’t set the tone, and it sounds slightly more sharp. The 9.1-channel A/V receiver is feature-rich and high-performance. It supports the latest Dolby Atmos and DTS:X formats and comes with the maximum number of HDMI ports. It sounds powerful and detailed, focusing on accurate dialogues reproduction while the music is played a bit sharp. The 11.2-channel home theater is flagship and top-quality. It comes with all the latest feature, accurate auto-calibration, supporting the full range of the newest audio formats. The amp is equipped with a great number of HDMI ports that meet all the users’ needs completely. It produces great, accurate sound, standing out by the clear dialogues.